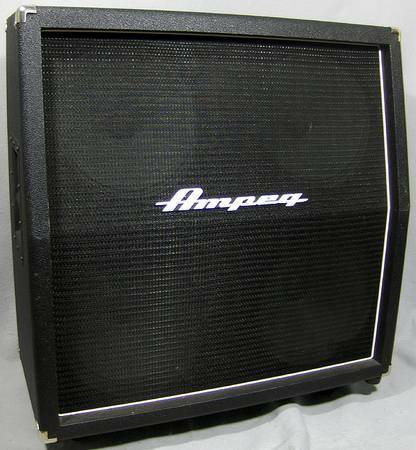 Ampeg V412 cab. 200 watts and 16 ohms. Turn that half stack into a full for cheap or add on to a smaller . $120 Call or text anytime. Ill reply as soon as I can. Please no emails. show contact infoI will also clean it up before I sell it as it is a little dusty.